John R. Quinn, 73, died peacefully on May 25, 2012, at the Lahey Clinic in Burlington, MA after a long battle with lung cancer. John was born on July 17, 1938 in Teaneck, NJ, the son of Raymond and Mary (Dempsey) Quinn. He grew up in Ridgefield Park, NJ and spent much of his childhood exploring the shimmering, hazy Meadowlands nestled in the lee of the New York City skyline. His youthful experiences formed an abiding love of the natural world that would shape his entire life. In 1959, he earned a Bachelor of Fine Arts at Parsons School of Design. John was widely respected as a naturalist and a uniquely gifted artist and author, whose countless works were often evocative portrayals of the natural areas he so loved. He wrote and illustrated eleven books, including Nature’s World Records, The Winter Woods, and Fields of Sun and Grass: An Artist’s Journal of the New Jersey Meadowlands. John also contributed to a host of publications, writing articles for Tropical Fish Hobbyist, Aquarium, Oceans, and many others. His career bridged several decades and included work at the Philadelphia Museum of Natural History, Squam Lake’s Science Center, and as a freelance artist and owner of Quinn Life Studios in Plymouth, NH. John enthusiastically shared his time, talents, and his love of nature with his children, nieces, and nephews. 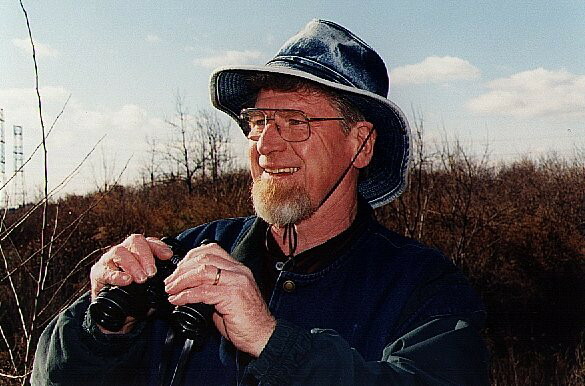 He was once aptly described as “a larger-than-life guy who could put pencil to paper and bring something to life.” John inspired family and friends alike to see nature the way he saw it: as something to be protected and cherished. Whether it was nursing an oil-soaked ocean bird back to health in his family’s bathroom sink or retrieving a disoriented bat from a neighbor’s attic, everyone knew injured wildlife in his care stood an excellent chance of being returned to the wild. He retired to Gonic, NH in 2004, where he enjoyed spending time in the wooded areas surrounding his home. John’s creative spirit continued to flourish despite his illness, and he spent many hours building detailed models and sketching for his grandchildren. A devout Roman Catholic, he lived his faith simply and with dignity every day. John was predeceased by his beloved wife, Lucille Quinn. He is survived by three daughters, Denise, Erika, and Meredithe, who all live in the Pacific Northwest; two step daughters, Cynthia and Jennifer, who both live in New England; six grandchildren, Ben, Molly, Griffin, Afton, Monique, and Alec; four siblings, Richard, Mary Lou, Eileen, and Stephen; and many nieces and nephews.